Welcome to the MHR Awards Program! We want to recognize your effort and accomplishments for both Showing and Pleasure. If you are showing your Moriesian in any discipline you are eligible for our awards program. 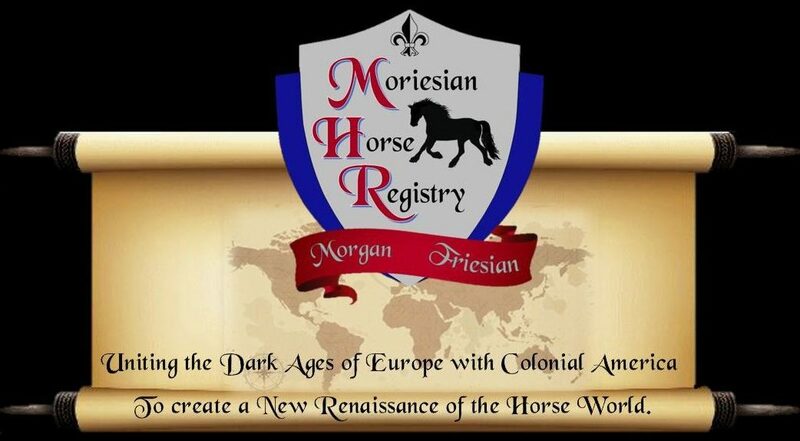 Please print the form at the bottom and submit it to the Moriesian Horse Registry after show season. Please visit the Honorable Mention page to see the most recent winners. MHR is offering to the Awards Program recognition for people and their Moriesians who love to trail ride, do groundwork, enjoy pleasure driving, give or receive lessons, participate in parades, engage in public services for youth, elderly or special needs, or anything else you are doing with your Moriesian. Please print the form at the bottom and submit it to MHR along with photos. The MHR Annual Awards Program is available to registered Moriesians and members who are competing against other breeds. The versatility of the Moriesian breed is exhibited in the variety of disciplines in which they compete and the MHR honors those who excel in each category. First and second place awards will be given in each category and results will be published on the web site. Division 1 - In Hand: All Open classes (including Showmanship, Halter, and Sport Horse breeding classes), and individual breed classes or Dressage Sport Horse and Hunter breeding classes at Open Shows. Results submitted from at least 3 shows. Show manager or Judge to sign forms – if DSHB, signed tests must indicate placing and number of competitors. Division 2 - Performance: English Pleasure, Western Pleasure, Pleasure Driving, Reining, Cutting, Hunter/Jumper, General Equitation and Competitive Trail. One horse may submit results from different types of classes within this division and points will be combined. Show manager or Judge to sign forms. Division 3 - Dressage: Awards are given at each national level from Introductory through 4th Level. A single award is provided through all FEI levels. 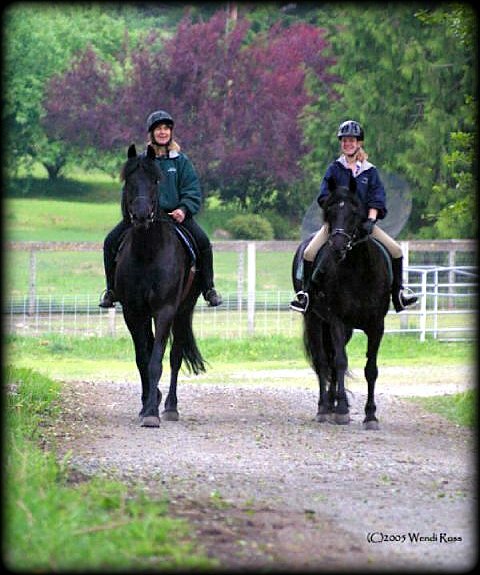 A horse /rider team may only participate at intro level fro a single year. A horse/rider team may only be Champion or Reserve Champion at any other individual national level (Training-4th) no more than two consecutive years. For intro through 4th Level, results must be submitted from the top four rides, with at least three different judges; the judges must be at least USDF L Graduate or USEF licensed judge. Schooling show results are accepted for Intro through 2nd level as long as the judge is at least a USDF L Graduate. For the FEI levels results must be submitted from the top three rides with at least three different judges, and shows must be USDF recognized. If shows are USDF recognized, may submit USDF score check printout in lieu of copies of tests. When showing 3rd Level or above, the shows must be USDF recognized shows, and a USDF score check would be submitted in lieu of copies of tests. Division 4 - Combined Training: Includes Three Day Eventing, Combined Training and Combined Driving Events. Must submit results from at least 2 events. Show manager or judge must sign forms. Horses must be registered with the Moriesian Horse Registry. Owners must be members (paid with initial registration). First year of competition is free, succeeding years a $20 per horse per year fee is required. Shows, events and classes must be open to all breeds (IFSHA and any other Morgan or Friesian breed specific shows do not count). If you have results from more than the number of classes indicated for your discipline, submit only the best results to maximize points earned. A horse may only submit results from two of the above 4 divisions each year. Results must reflect the current year, be submitted on the MHR Competition Form, and received, fee included, by January 15th of the following year. Forms must be complete and signed by the show secretary, judge or manager. Note Dressage requirements above. Dressage Division: Scores are based on the average of 64 (or 43 FEI levels) scores with highest average receiving 1st Place and second highest average receiving 2nd Place. In Hand, Performance, and Combined Training Divisions: Awards are based on a point system. Points are earned at each show based on the size of the class and placing within the class. Only signed forms are valid. If USEF, USDF, USEA and other recognized shows provide printout of results they may be used in lieu of forms if they provide the required information including placing and number of entries. Awards are given to MHR Registered Moriesians who participate in any Federated Equine Inspection Tours (FEIT) sponsored inspection. MHR Moriesians registered and inspected through another part Friesian or Sport Horse registry are eligible as well. Horses scoring at 7.7 or above will be given a ‘High Merit’ award in recognition of their conformation, movement and quality. Judges must be at least USDF R rated. Results must reflect the current year. Copy of the inspection results with the judge’s signature must be submitted to the MHR by January 15th of the following year. trail riding, camping, pleasure driving, lessons, parades, pubic services and more. you are promoting the Moriesian breed. First and Second place awards will be given for the Moriesian Miles program. 1. Horses must be registered with the Moriesian Horse Registry. 2. Owners must be members (paid with initial registration). 3. First year of Moriesian Miles is free, succeeding years a $10 per horse per year fee is required. 5. A horse may submit from anyone or more of the above divisions each year. 6. Results must reflect the current year, be submitted on the MHR Moriesian Miles Form, and received, fee included, by January 15th of the following year. 7. Forms must be complete and signed by the Moriesian owner. We trust your honesty and integrity to provide us with accurate information and photos to accompany your Moriesian Miles.